Originally brewed in 2005 as the first in our annual Decadence series, AleSmith Old Ale follows the tradition of class British-style Old Ales. This rich, malt-forward ale showcases soft notes of currants and dried fruit along with complex dark sugars, all of which are balanced by a subtle bitterness derived from the addition of traditional English hops. 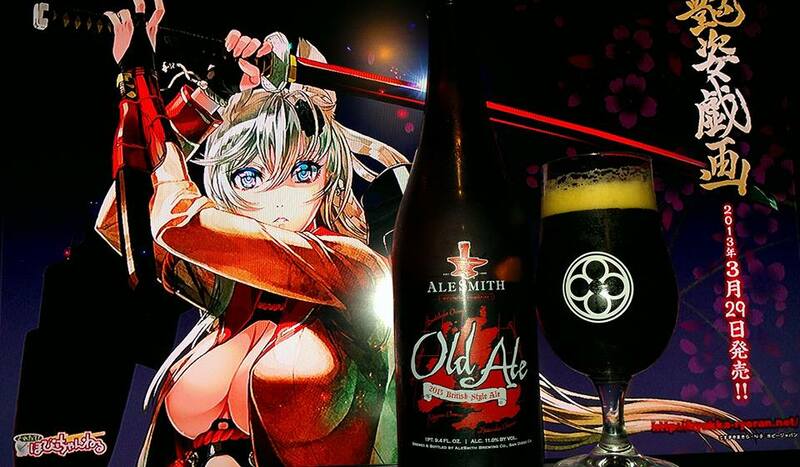 AleSmith Old Ale is ready to be enjoyed now or it can be aged for upwards of twenty years to further enhance its amazing depth of flavor. 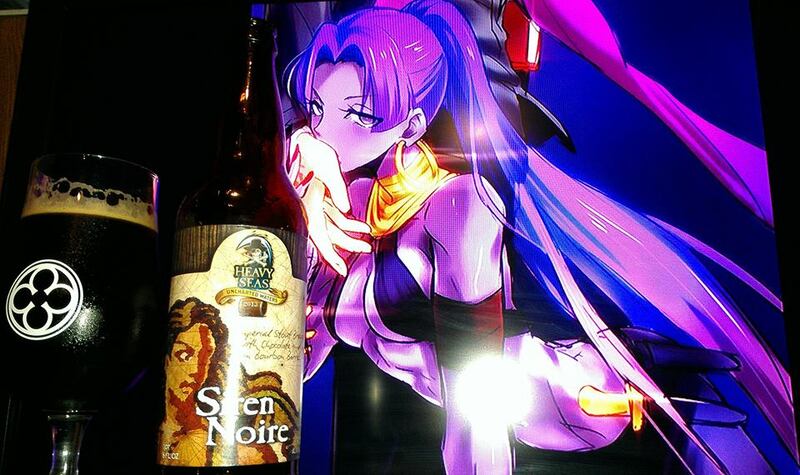 A hearty ale designed to please Bacchus himself! 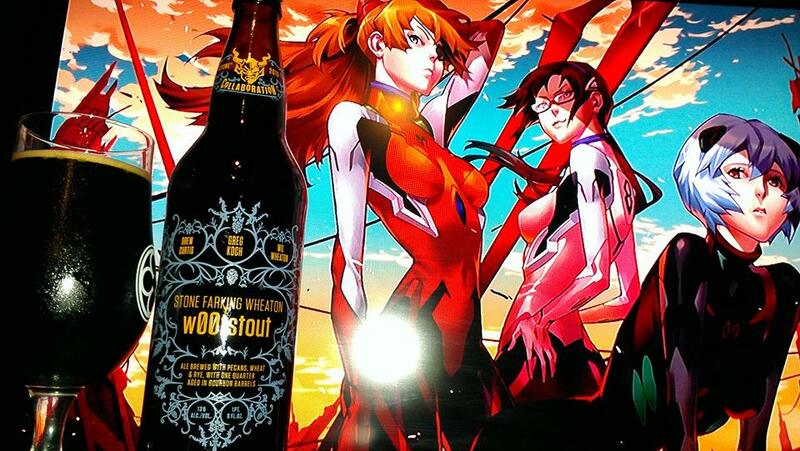 They will be releasing this beer every season due to its popularity. 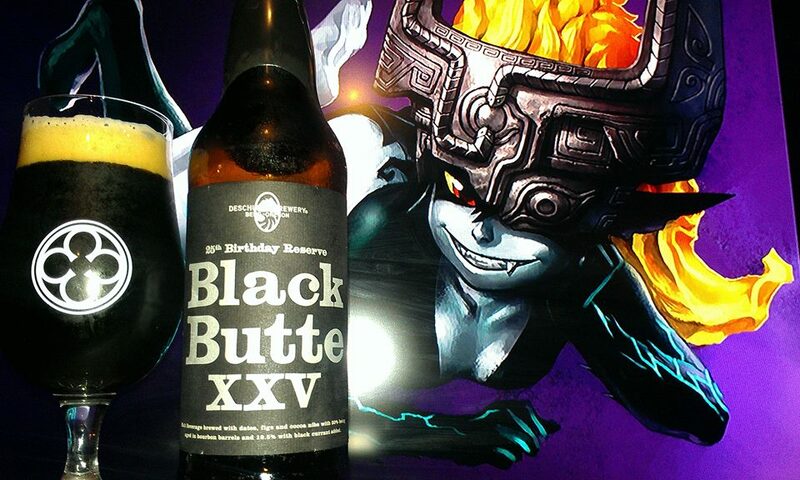 I snagged a bottle as I was looking for beers at the store. I always have a hard time deciding what to pick. I like all the beers and certain styles. This is a style of beer that I do not often get to review but the style has always been very good. The aftertaste finishes with like a raisin, caramel and anise taste with some port wine and earthy bitterness as it leaves completely. Good stuff, and the alcohol is well hidden. Amazing stuff, also, others say that the previous recipe was oxidized. 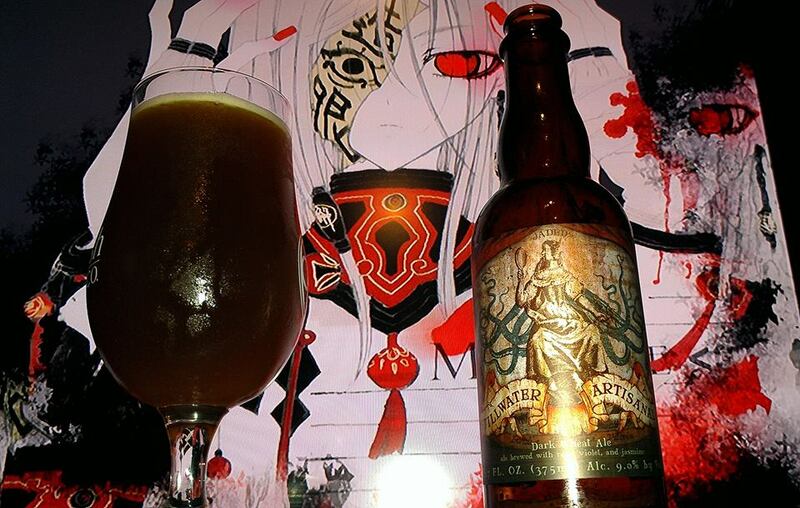 There is no oxidation in this one at all, it’s just pure good beer. This ale is meant for aging, so I am sure it will improve with time for sure. Even as fresh as it is right now, it is very delicious and I almost feel like I can definite drink more of this stuff. One of the best English styles ever.. Damn Alesmith is very good. Using Natural Ingredients, we brew a root beer so pure, so rich and creamy, You’ll swear It’s made in heaven. Virgil’s is a superb blend of spices and herbs gathered from the world over; anise, licorice, vanilla (bourbon), cinnamon, clove, wintergreen, sweet birch, molasses, nutmeg, pimento berry oil, balsam oil and cassia oil. So here’s the deal, I was coming back from Las Vegas with a couple of my friends and we stopped at a store that sells Alien Jerky somewhere in the middle of the dessert. This store was packed with people buying items from Jerky, to hot sauces to craft sodas. I found this root beer and I was like wow, pretty neat. Comes with the cork stopper like a nice beer would. I am not that big into craft soda scene but I had the crazy idea to just do a review of this root beer since it is made with many ingredients. 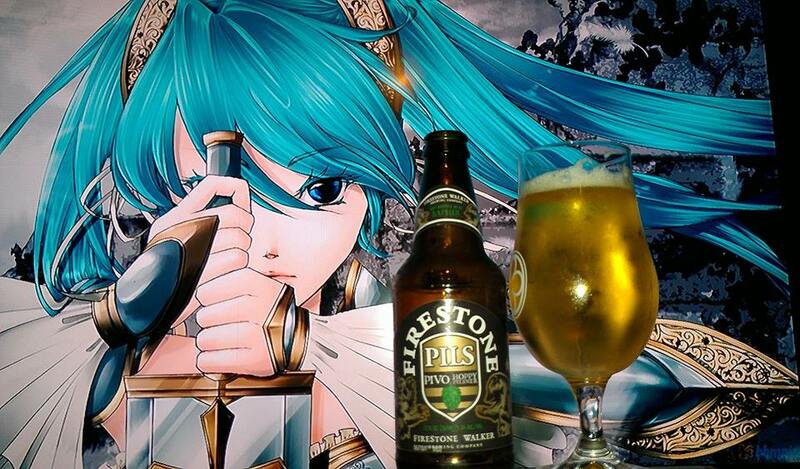 By the way, I have never reviewed a soda so I will apply some of my beer review skills to it, just for fun. Nothing too serious. Aromas are of like a regular root beer. Licorice, cinnamon, molasses, vanilla and sugar. Nothing too crazy. I guess the real stuff is in the flavors. The flavors are way better than the average root beer. Definitely getting some vanilla, sugar cream, nutmeg, licorice, molasses, cinnamon, faint chocolate, faint mint, hazelnut, brown sugar and caramel. 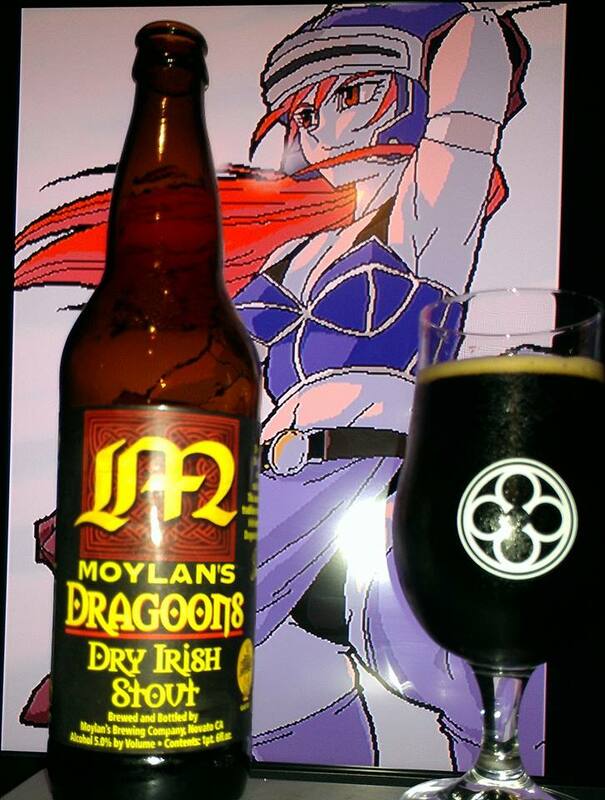 Dragoons by Moylan’s Brewing is a 5% ABV Irish Dry Stout. 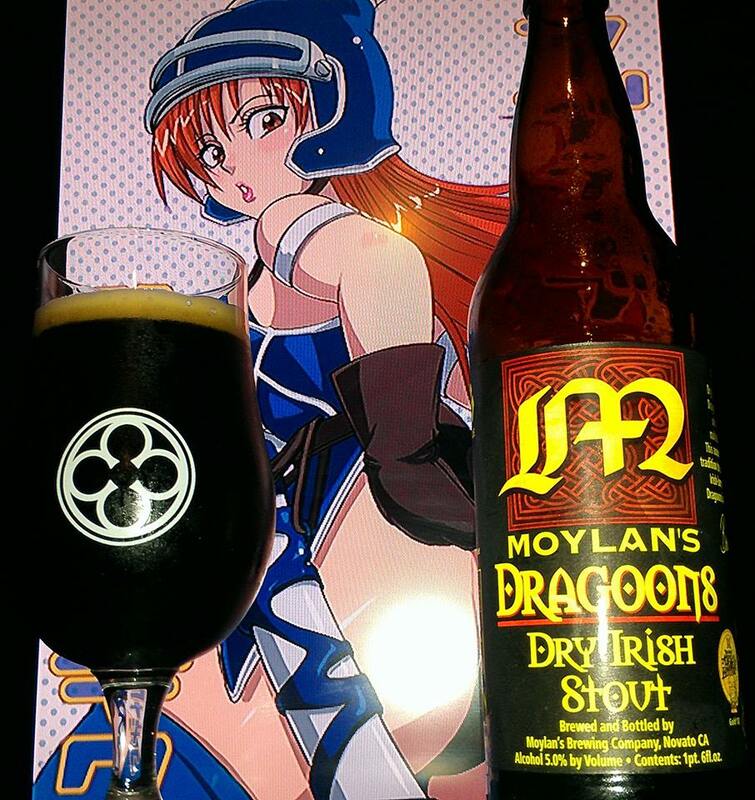 Dry, roasty and incredibly rich in flavor, Dragoon’s Dry Irish Stout is made with a unique blend of imported hops and malted barley from the United Kingdom. This award winning stout is brewed in the Irish tradition to commemorate General Stephen Moylan,Irish-born commander of the 4th Continental Dragoons during the American Revolutionary War. Been meaning to try this for a while. They had this one at Congregation ale house on tap and as a beer float. It was pretty good from what I remember. I found a bottle and wanted to give it a review. 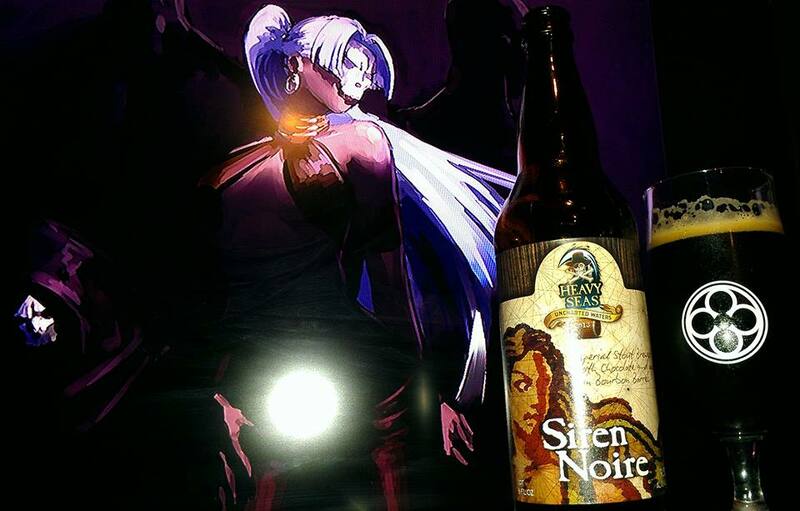 This stout won a 3 gold medals in 2007 at the American Beer Festival, Cal State Fair and the World Beer Champ of the same year. 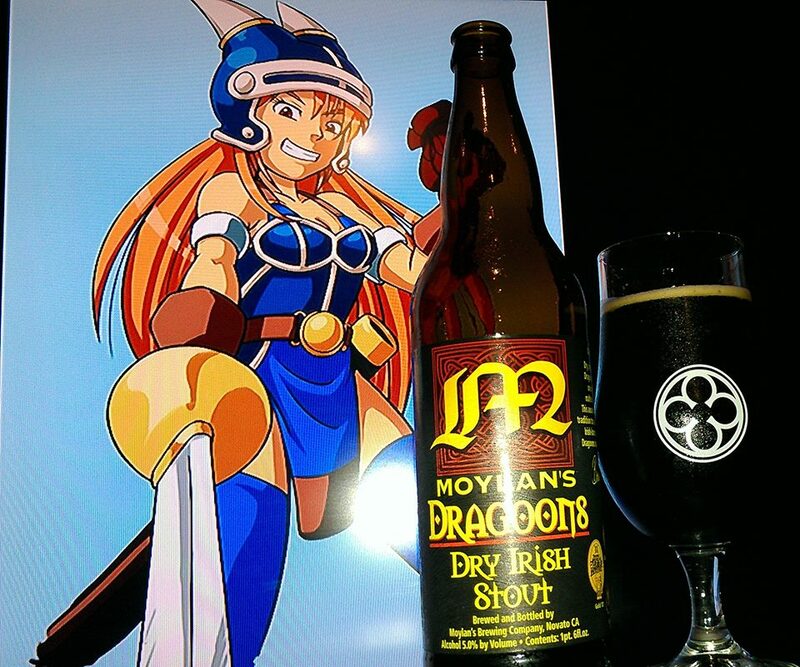 This isn’t the typical “Guinness” type of dry stout for sure. Although Guiness is decent in its own ways. Definitely dry finish in the aftertaste not leaving much but slight hints of the milk chocolate and coffee notes. The flavors that come out as the beer goes along is what makes this one good. Without the extra flavors it would probably be average at best. Thankfully that is not the case. I think If I find it on tap and I want to drink light but still nice and flavorful while still not being too overwhelming to the palate, I would get this one again. 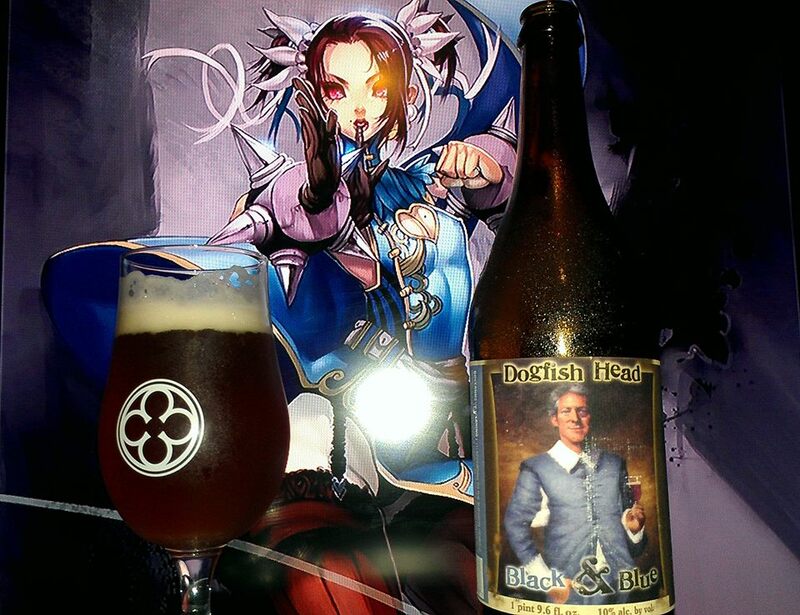 Black & Blue by Dogfish Head is a 10% ABV Belgian Golden Ale brewed with Black raspberry and Blueberry puree. 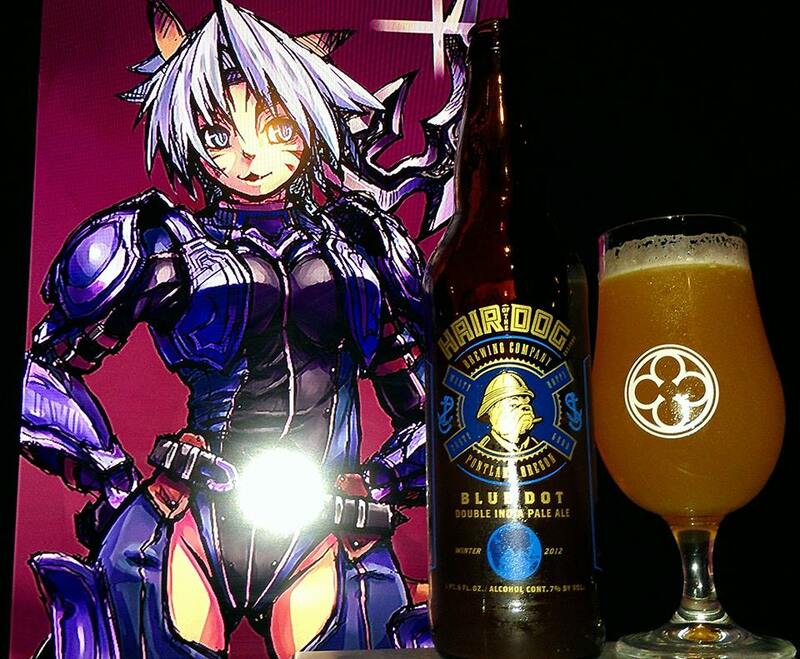 Black & Blue is golden Belgian Ale made with over 300 lbs of fresh blackberries and blueberries. 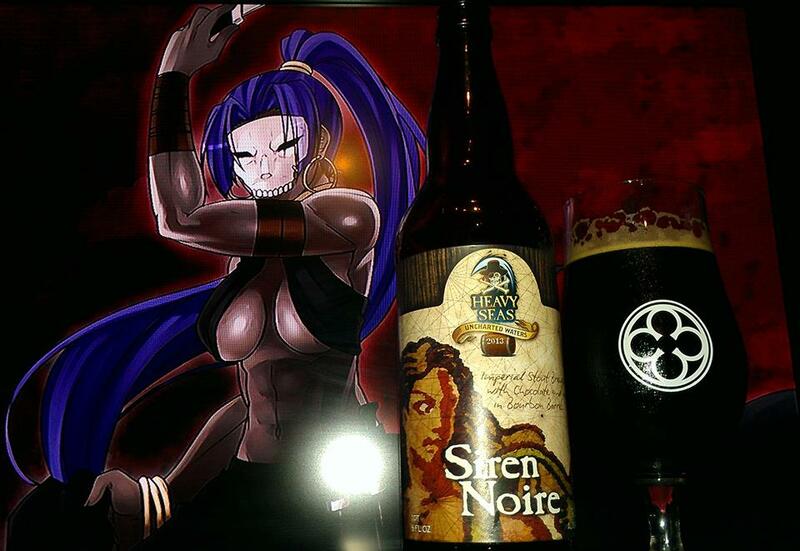 With a deep purple full body and a long-lasting lacy pink head, this ale is both attractive and delicious! 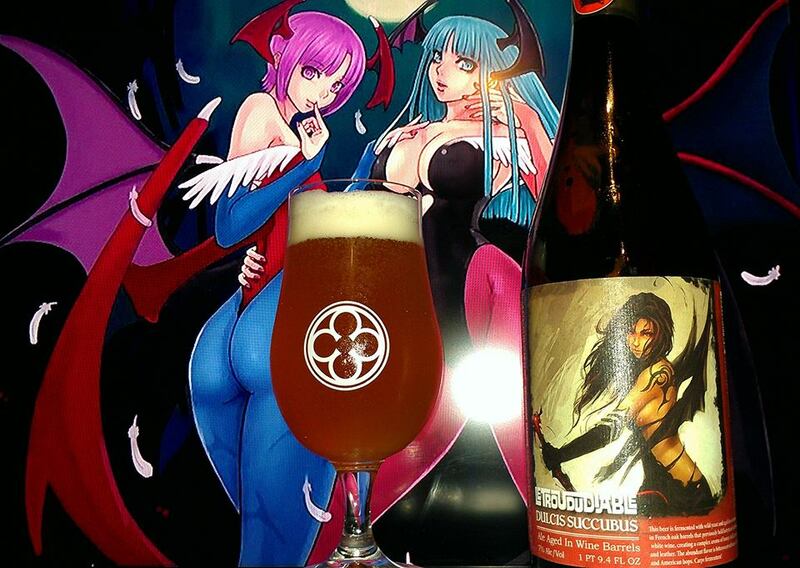 It is tart and fruity, like our brewers! The subtle bitterness of Hallertau and Saaz hops shines through the fruit forward flavor and sets the palate aglow. (30 IBUs). 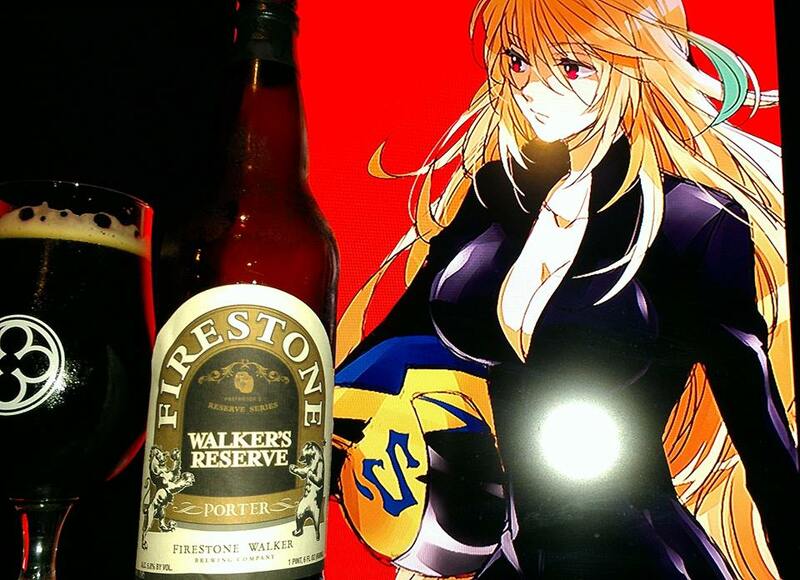 This tasty brew has smooth but noticeable alcohol warmth. 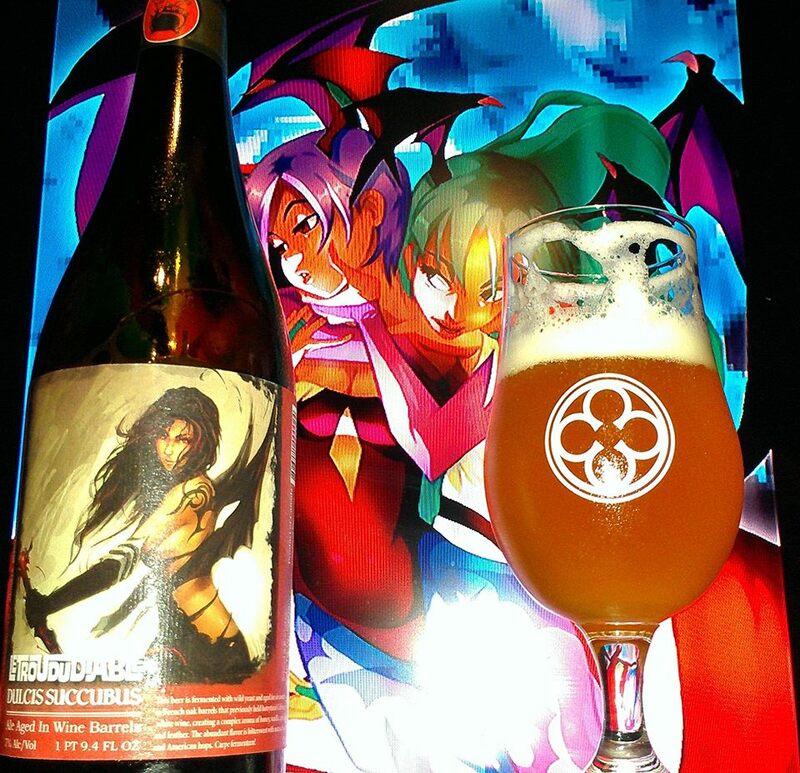 Belgian yeast gives this brew a characteristically dry spicy finish. 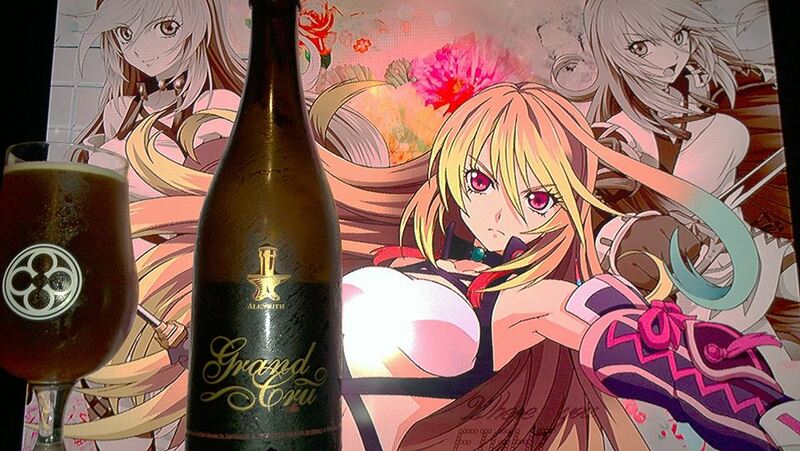 The beautiful interplay of fruit, spice, and alcohol is complimented by a soft malt profile, and a high level of carbonation. Aromas are of grapes, biscuit bread, raspberries, blueberries, wheat, cherries, citrus, peach, apples, coriander spice and strawberry jam. The flavors are of lots of tart black and blueberries, wine grapes, apple, apricots, biscuit bread, wheat, apples, citrus, coriander spice, bananas on toast with strawberry jam, and clove notes. 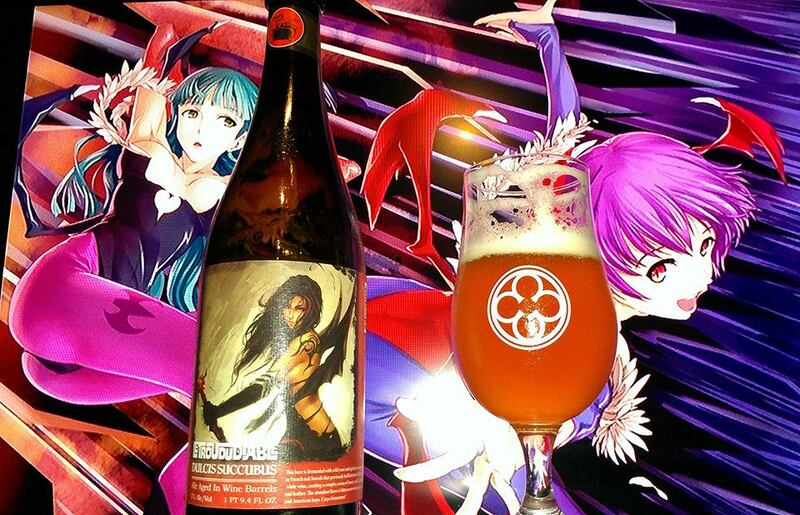 Pretty sweet, fruity and tart beer. Hard to sense the alcohol. 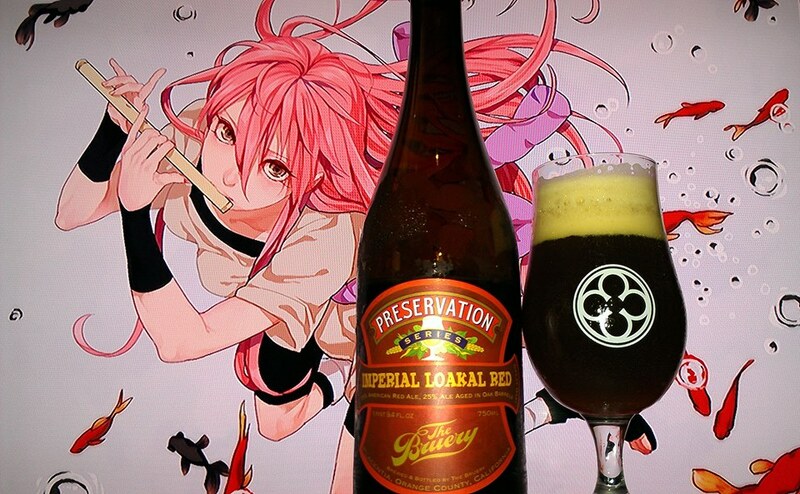 It is one of those beers that hides the alcohol very well. The beer almost feels sorta like a wine in the after taste but leaves a good amount of very nice residual banana and fruit on bread. Overall, for people that like wine or fruit beers, this is very nice. 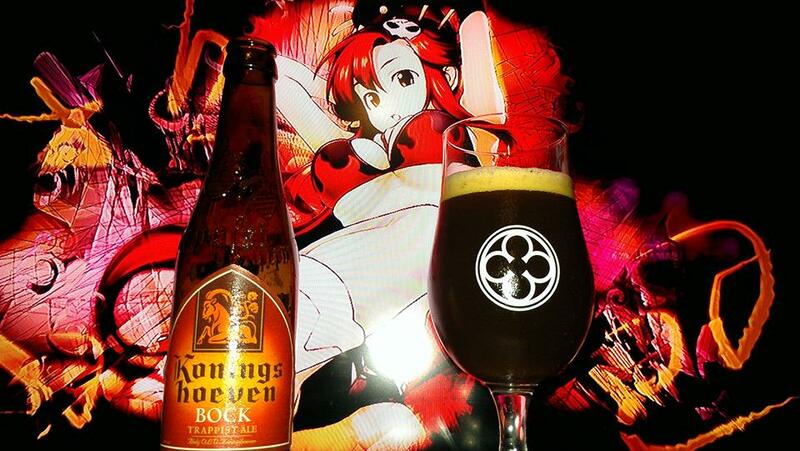 What makes it that more delicious is the Belgian yeast strain which gives it that nice clovey, banana bread like flavors through out the beer. 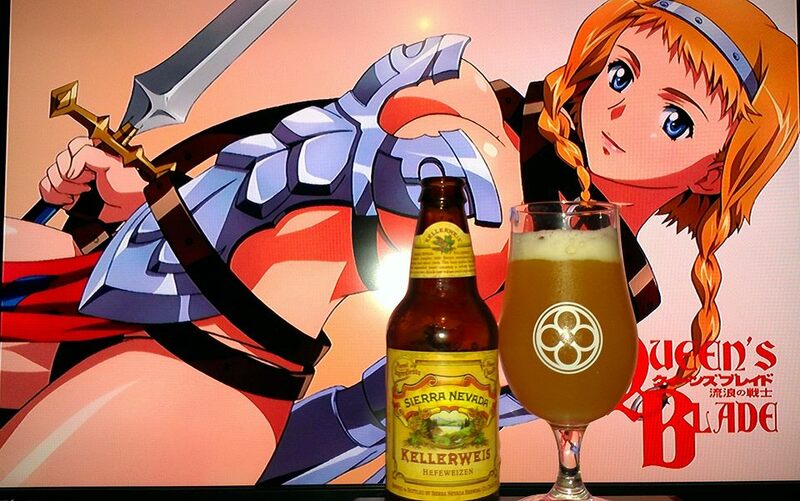 Kellerweis is one of the few American Hefeweizens made using the traditional Bavarian style of open fermentation. This difficult and labor-intensive technique adds uncommon depth and flavor complexity. Our hazy-golden hefeweizen is deeply flavorful, refreshing and perfect for a sunny day. To serve, pour two-thirds into a glass, swirl and pour the rest. Long ago, they used to have it as a common beer near where I live until they decided to change things. I have seen this one in many other places and it is quite common. So I finally got around to getting this one to do a review. The flavors are of banana, clove spice, phenols, caramel, biscuit and doughy bread, floral hops, peppercorns, coriander, citrus, lemon and slight toffee notes. The aftertaste is sweet and hop like bitter. This is pretty damn close to the good German heffs as they get. The best part, is that this is a common. So if you are a fan of heffs, especially German ones, definitely grab a six pack this is. Good stuff for sure. 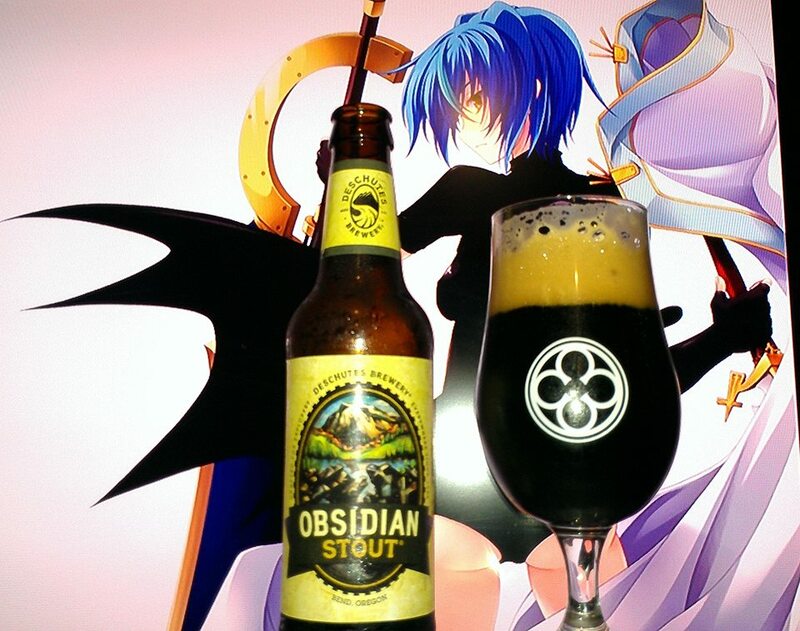 Considered the second best regular American Stout in the World by Beer Advocate. A common beer at that, I wanted to see what makes this one good. Aromas are of dark and milk chocolate, roasted coffee, vanilla, caramel hints, licorice, molasses, hazelnut, tobacco hints and a bit of smoke. The flavors are of dark and milk chocolate, roasted coffee, vanilla cream, rye bread, brownies, caramel notes, tobacco, licorice, smoked ham, earthy hops, currants and espresso notes. The beer almost feels like a dry Irish stout except for the fact that the flavors stay lingering so technically not dry at all. Only an illusion of the palette. Lots of coffee bitterness in the aftertaste. Maybe because I am a fan of Russian, Belgian and American Imperial Stouts that I cannot see this one in the heights of the awesome imperial stouts. But in the height of just basic American stout, trust me, Guinness bows before this one’s might! The different amount of flavors is enough to distinguish it as one of the best. As you let it sit, the bitterness does seem to dissipate giving way to nice chocolate and caramel flavors. I think the key as to why this beer is good is because of the developing flavors that change with every sip. 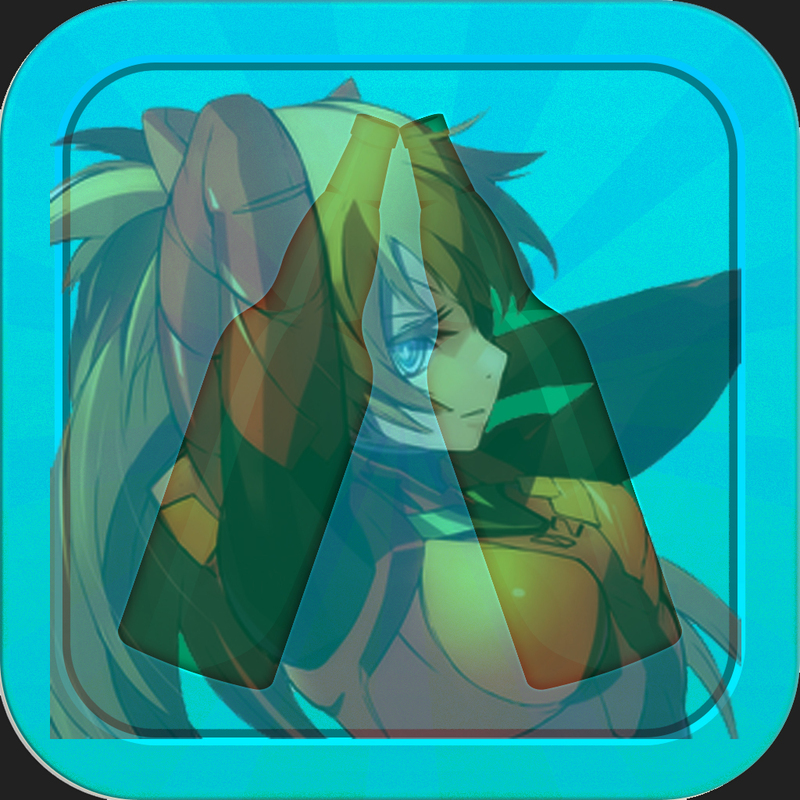 Kinda like, Abyss?…well… not that far, but it’s a start. Our namesake IPA is a Northwest classic. Generous additions of organic Ahtanum, Centennial, Palisade and Cascade hops find their way into the kettle, hop-back and dry-hop. This judicious use of the “brewer’s spice” creates rich and resinous flavors of citrus fruit and pine. 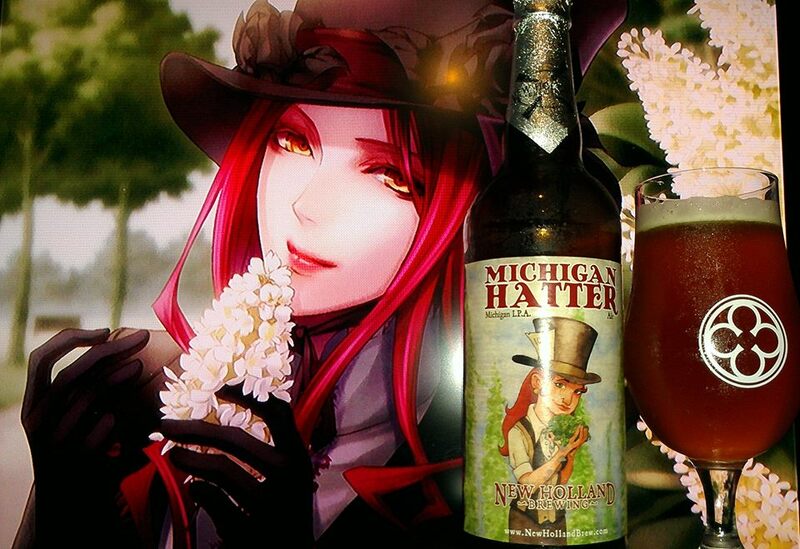 The finest organic 2 row, Munich and Caramel malts then bring balance to your new favorite beer. Wow, aromas are incredible. Lots of grapefruit, caramel, piney, herbal and grassy hops along with orange, toffee, biscuit bread, honey and some tangerines. The flavors are awesome, lots of grapefruit, piney, herbal and grassy hops along with biscuit, honey, dulce de leche caramel notes? (It somehow seems to workout, go figure), tangerines kiwi and passion fruit. The aftertaste is kinda bittersweet. It is balanced through and through. It is incredible easy to drink as well and refreshing. We took our hoppy American red ale, delightfully citrusy and full of flavor from new American Oak – and made it bigger, bolder and more exceptional. 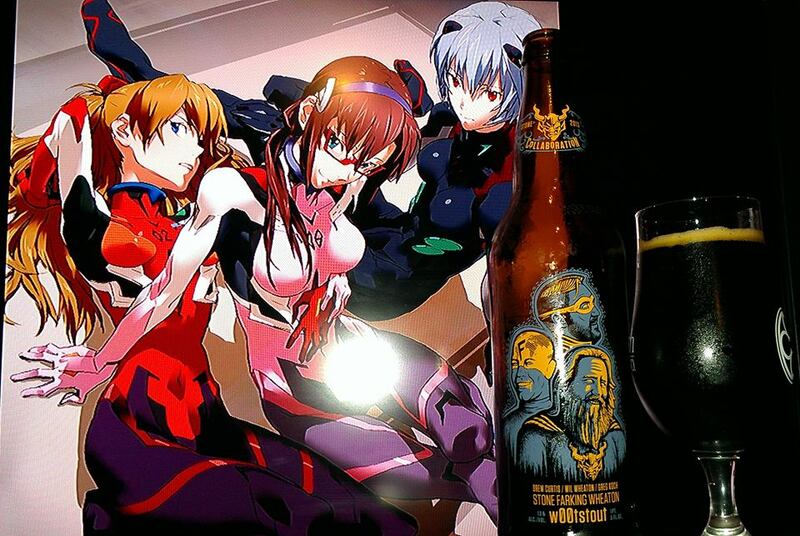 Imperial Loakal Red is best enjoyed fresh. Please store in a cool, dry place. The ideal serving temperature is 50 deg Fahrenheit (7 deg Celsius). Best served in a tulip or wine glass. 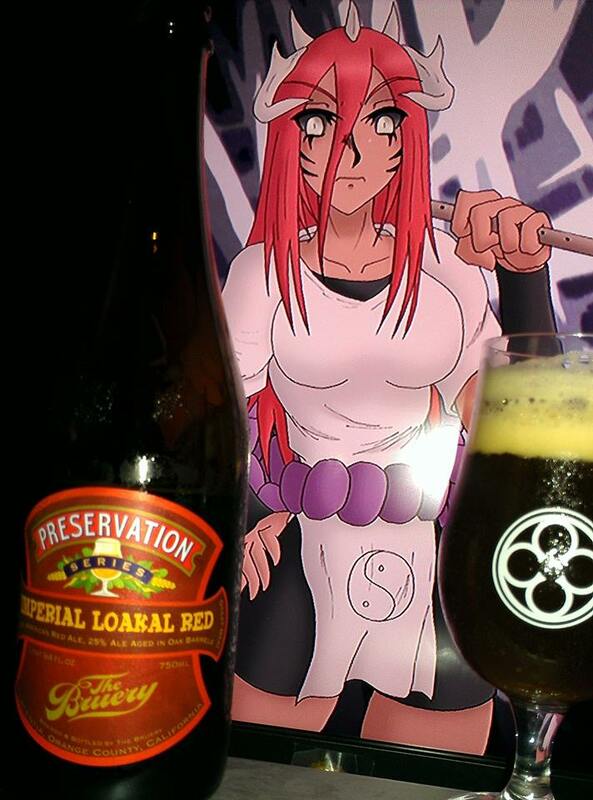 When I first had the chance to try their Loakal Red, I was very impressed. The beer was along the lines of Troeggs Nugget Nectar and My Bloody Valentine. 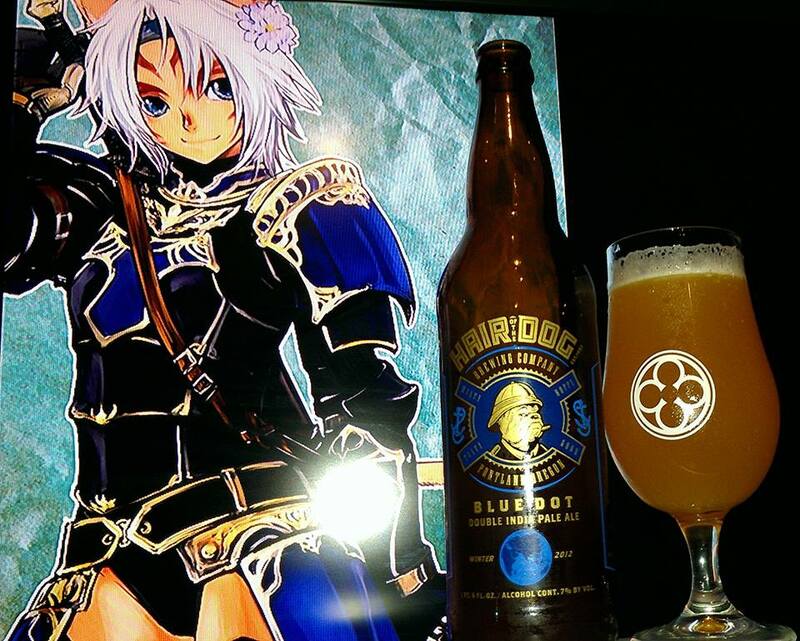 I was recommended to actually try the Imperial version of it. After opening the bottle the aromas were very rich. 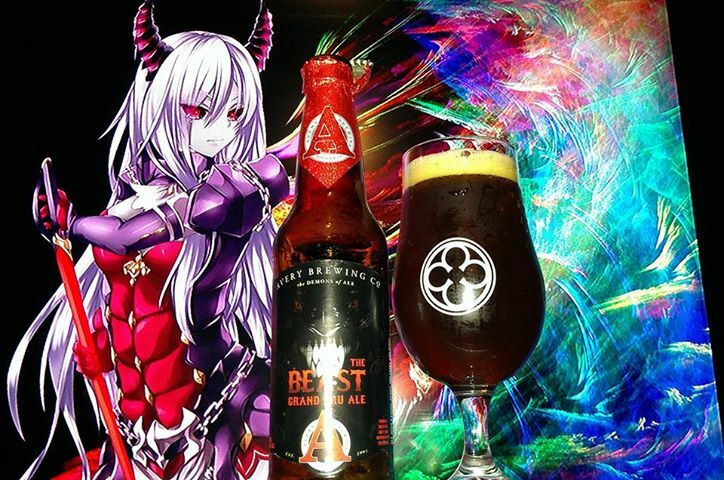 Hype aside, I would consider this to an even higher amber status than Nugget nectar and the Valentine which are harder to get. Aromas are of very rich caramel, toffee, oak, hazelnuts, walnuts, pecans, citrus, grapefruit, grassy and herbal hops, honey, vanilla, coffee notes, french toast, brown sugar, cherries, mango, maple syrup, scotch, apricots, dragon fruit, coconut and pecan pie. The flavors are close to a Barleywine, its crazy. You get lots of rich caramel flavors, vanilla, toffee, oak, hazelnuts, walnuts, pecan pie, french toast covered in maple syrup, brown sugar, citrus, grapefruit, grassy, herbal and floral hops, honey, cherries, mango, peaches, pineapple, scotch whiskey notes, slight coconut and tangerines. The alcohol is present but the beer hides it well. You don’t feel it until alittle bit later. 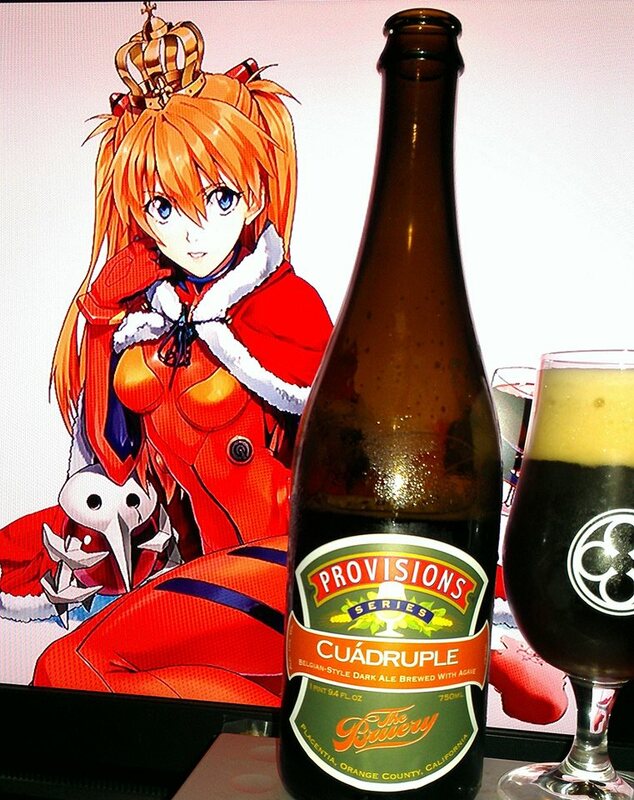 Quite the flavorful rich beer. The after taste keeps lingering with sweet caramel and hop bitterness. It is very pleasant. Will definitely need to get this again. 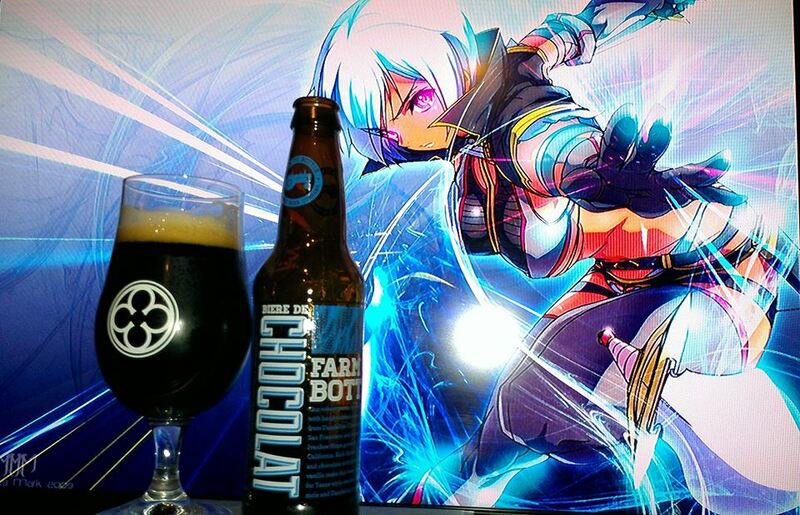 This has become my new favorite amber ale. It is not often I get to try ambers but this one fits the bill perfectly as to what awesome ambers should be. 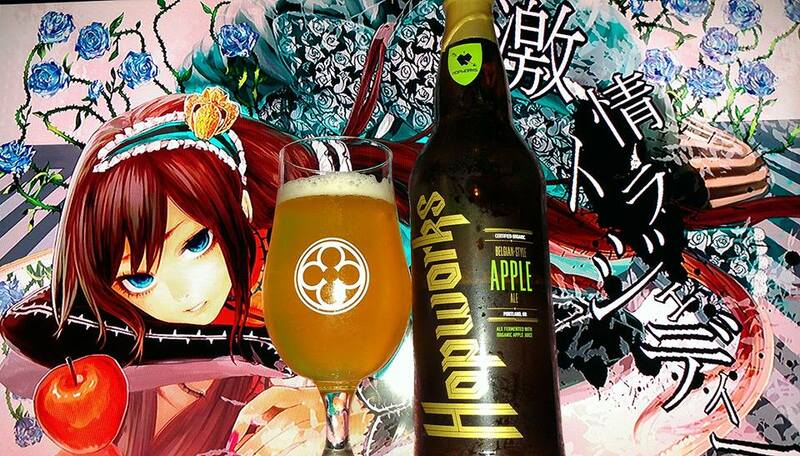 Hopworks Organic Apple Ale is the marriage of a traditional Belgian Golden Ale with juice from Organic Washington and Oregon apples. Delicate floral aromas layer over tart flavors of freshly picked Honeycrisp and Gala apples. A subtle wheat malt body gives way to a refreshing, effervescent finish. Crisp and delicious as a Fall day in the orchard. Flavors are of apples, peppercorns, biscuit bread, honey, pilsnery malts, spicy cloves, flowers, tangy and funky fruit notes almost like a citrus and apricots. This beer finishes dry leaving a nice refreshing bitterness with some apple and apricot notes. For a light, refreshing and crisp Belgian ale, this one goes a long way. 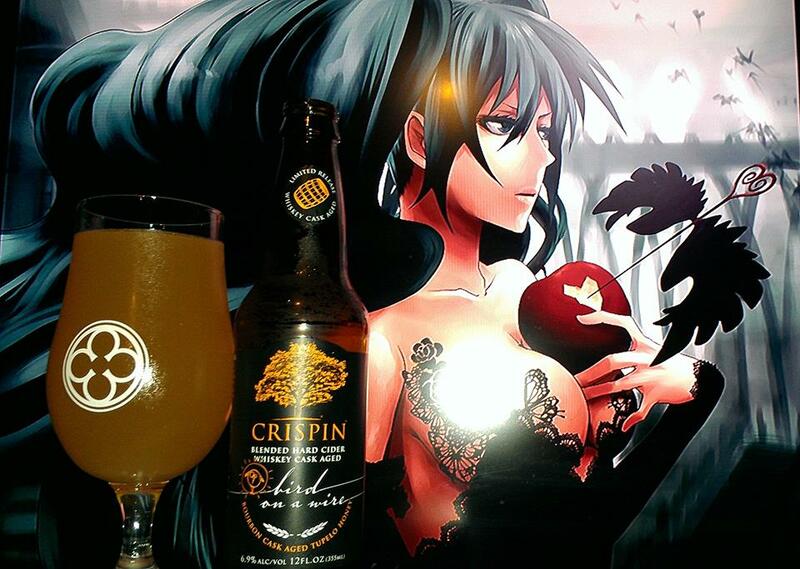 For me, I like more apple and Belgian over powering beers like Ephemere or even non beers like the Crispin’s the Saint. 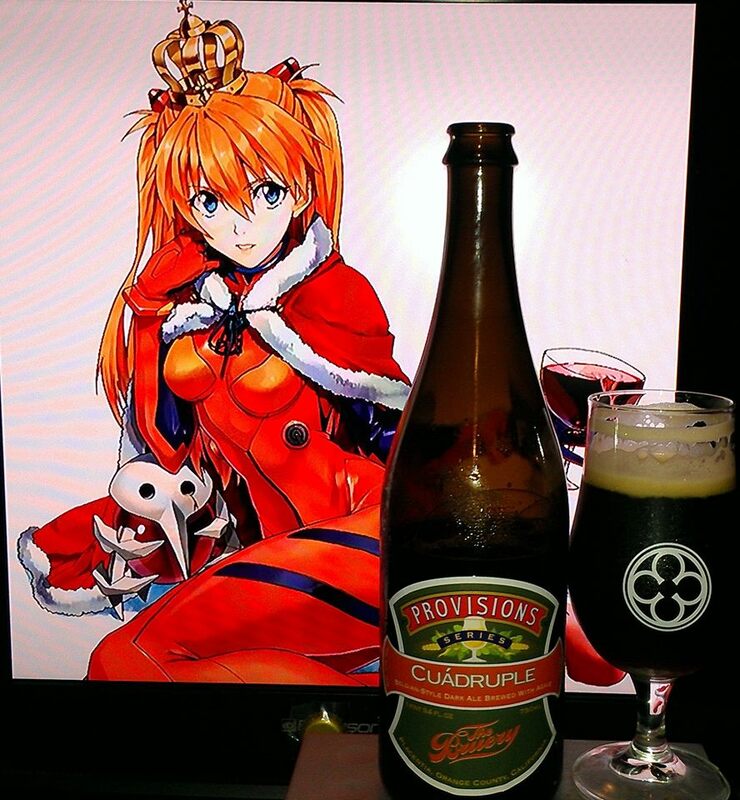 Technically the latter is not beer but aside from that, I enjoyed this one. 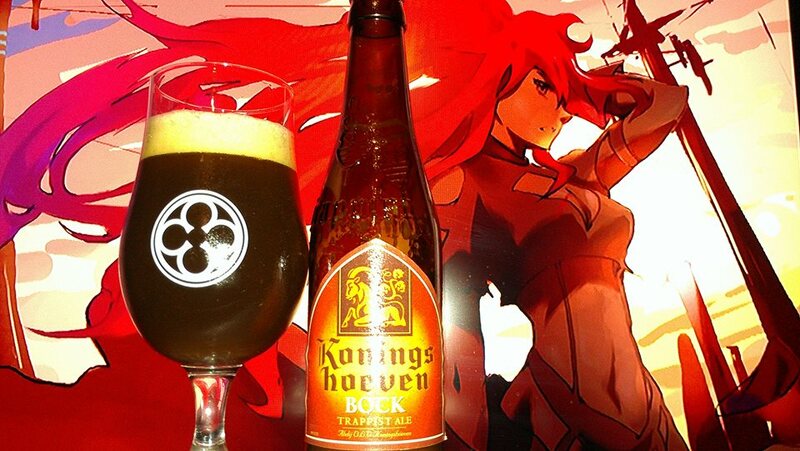 I feel as if I can drink several of these and still feel some great apple and Belgian notes. This is better than the Shocktop Apple Crisp even though that one was the best of their line of beers I have tried. However, this cannot be compared as it is way better than that. 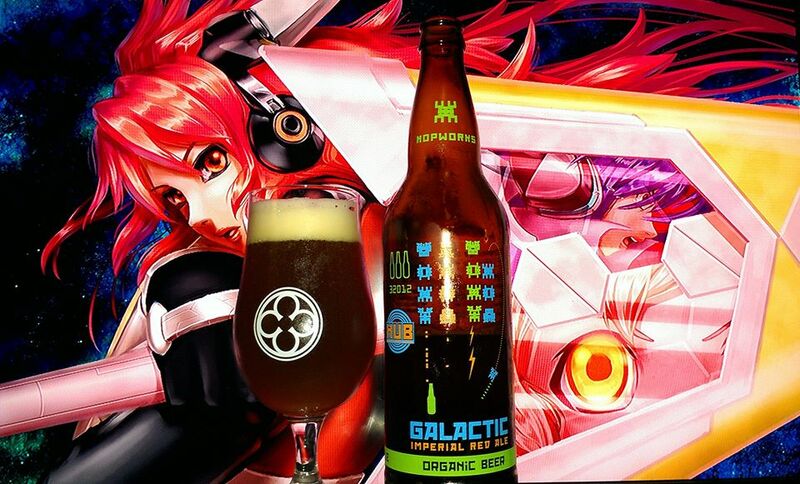 Hopworks Galactic Imperial Red; One small sip for man, one giant bottle for mankind. Robust caramel malt flavors battle NW Centennial, Cascade, Magnum and Nugget hops for interstellar supremacy. Throw down your quarters before it’s game over. 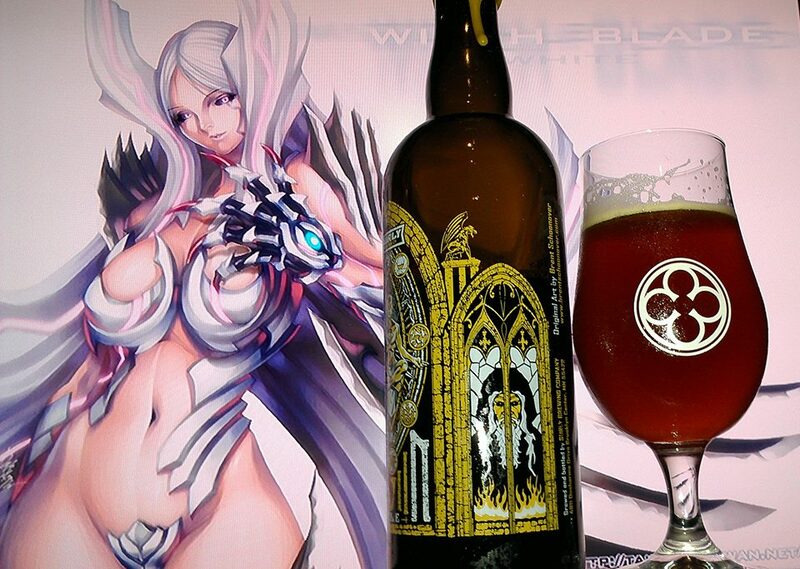 Galaga fans will remember the similarities of this bottle’s beer label. This beer is an organic made beer using organic ingredients. 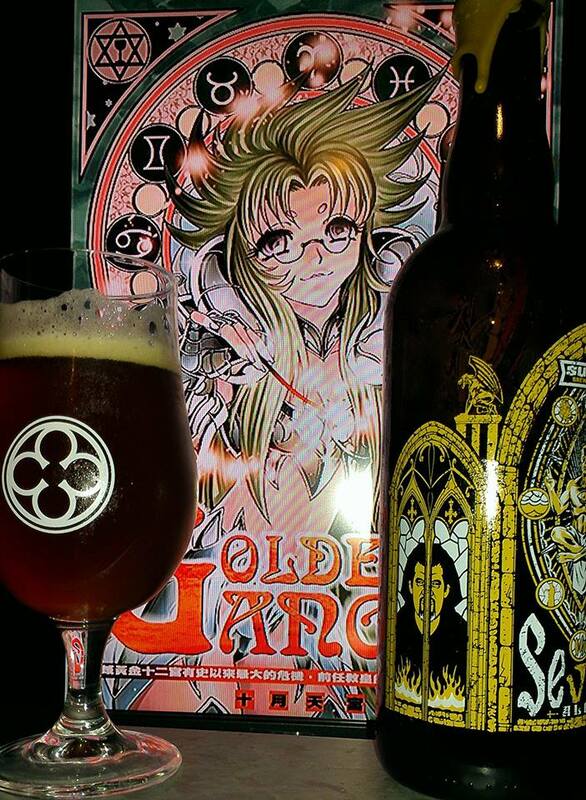 Aromas of this beer are of piney and grassy hops, citrus, rich caramel, toffee and biscuits. The alcohol is somewhat noticeable in this one. I think it gets better as you drink more of it but in the beginning it wasn’t overly impressive. 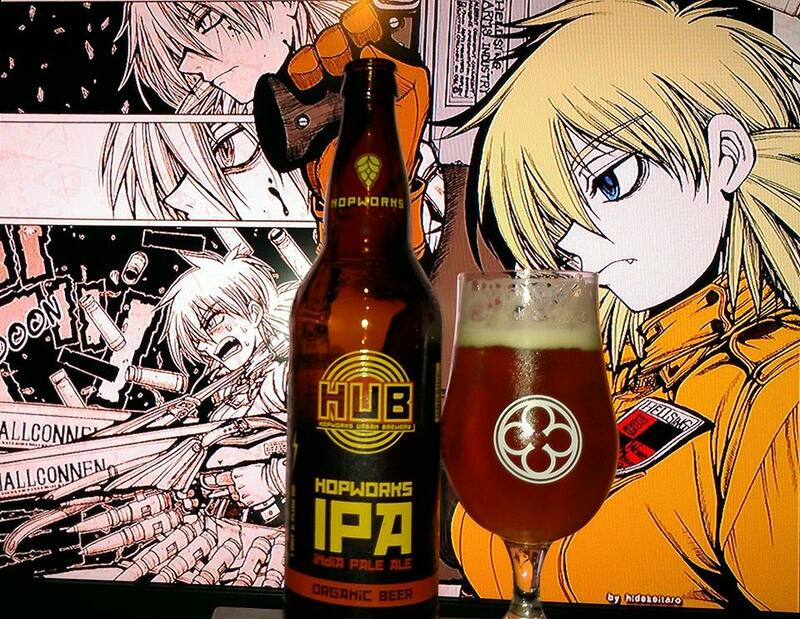 I think the hop character over powers the rest of the beer but some may find this appealing. I like more tropical hop characters but these are more herbal to explain what I mean. The balance is somewhat impartial. You get more hop than malt but that is not too bad at at all. 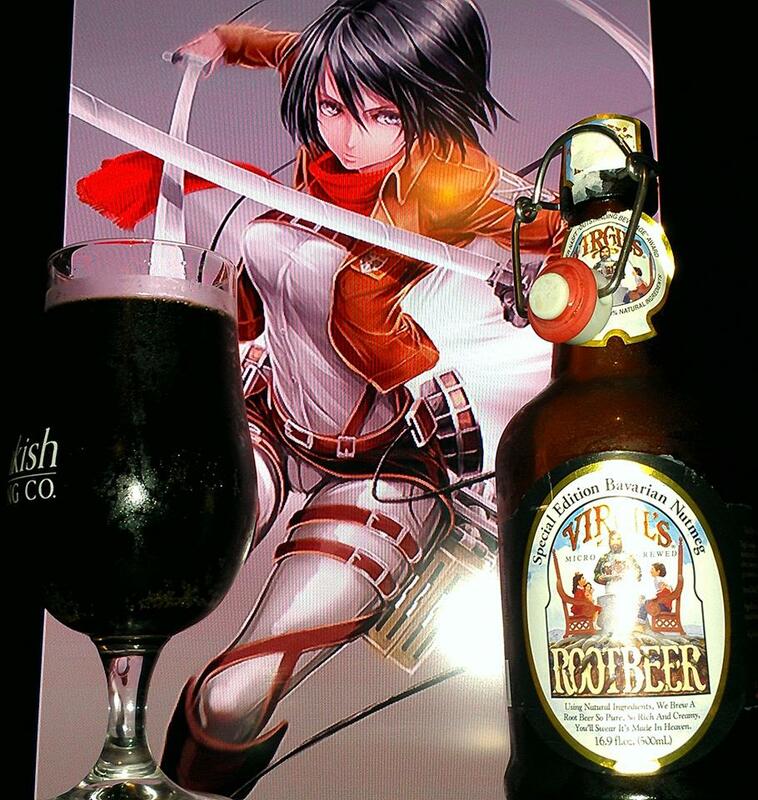 While overall this is still a very good beer, there are other ambers that do more wonders. Still worth the try for sure if you love ambers. 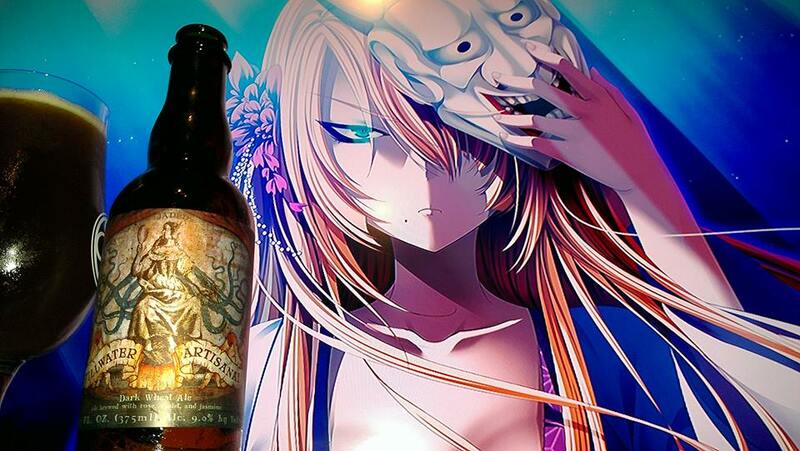 SeVIIn Anniversary Ale by Surly Brewing is a 12.5%ABV Belgian Strong Ale brewed with Rye, Oats and Wheat. Seven years! It seems not that long ago that I was delivering beer and Todd Haug was splitting a 30-barrel batch between kegs and cans. Now we’re planning a new brewery that will brew more beer in a week than we sold in our first year. The idea behind our anniversary line-up of beers was to give Todd, Surly’s head brewer free rein to use whatever ingredients and methods he wanted to brew the beer. This year’s bottle artwork is a one-of-a-kind illustration collaboration between Todd and local artist Brent Schoonover. Here’s to Seven, and many more. Continuing our quest to despoil and desecrate conventional beer styles, we’re raiding Trappist traditions to produce this Belgian Style Ale brewed with Rye, Oats and Wheat. Our first beer EVER brewed with Wheat! Belgian yeast creates classic clove-spiced banana aroma and flavor. Dry hopping brings floral and citrus aromatics to the biscuity-smooth malt body. So another year comes and this time Surly is trying to make mends by releasing their anniversary ale in the way of the Trappist monks. Ofcourse, Surly being Surly, always has a scheme. 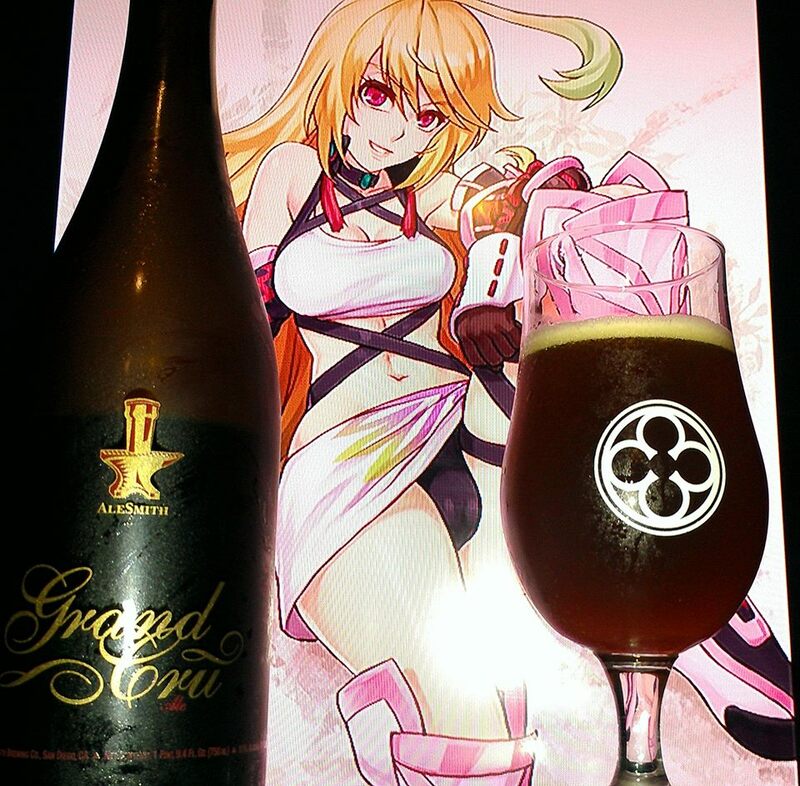 Though, Trappist ye may be, your colors and Soul can clearly be seen as tainted. Aromas of this beer are like a Belgian Pale Ale but with Rye. Sweet bread, caramel, toffee, herbal hops, citrus oranges, candi sugar, wheat, rye, funky notes, peppercorns, honey, apples, floral notes and slight oakyness. 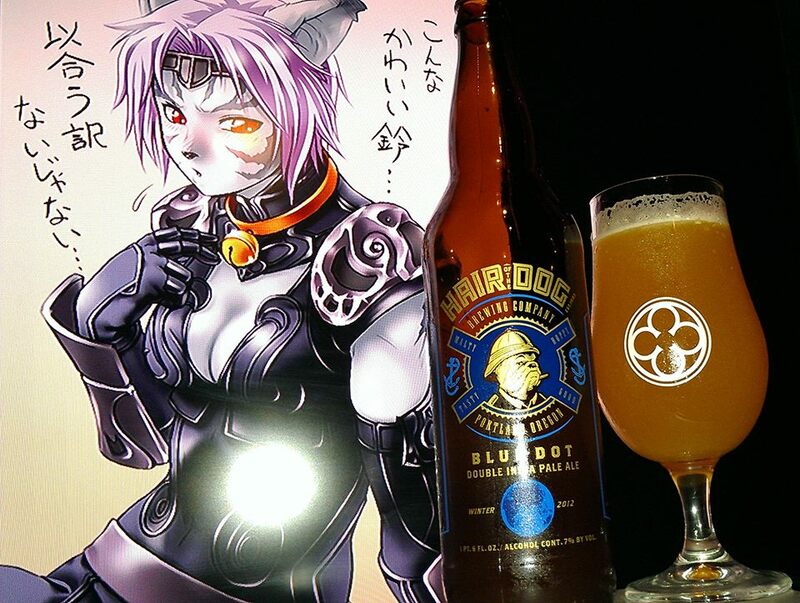 The flavors are of caramel, wheat, rye bread, honey, Oatmeal, candi sugar, dulce de leche caramel, orange, raisins, plums, bananas, apples, clove spice, peppercorns, herbal and floral hop notes, dried apricot marmalade on biscuit bread, pears and a small bit of wine grape notes. The alcohol can be noticeable but just a bit. It is not strong in the sense that it affects the flavors of the beer but only adds along the way to remind you, hey, this is a 12.5% ABV. The crazy part is that it still felt pretty drinkable to me. That is where you could fall into danger. Take this only in moderation and share with others. 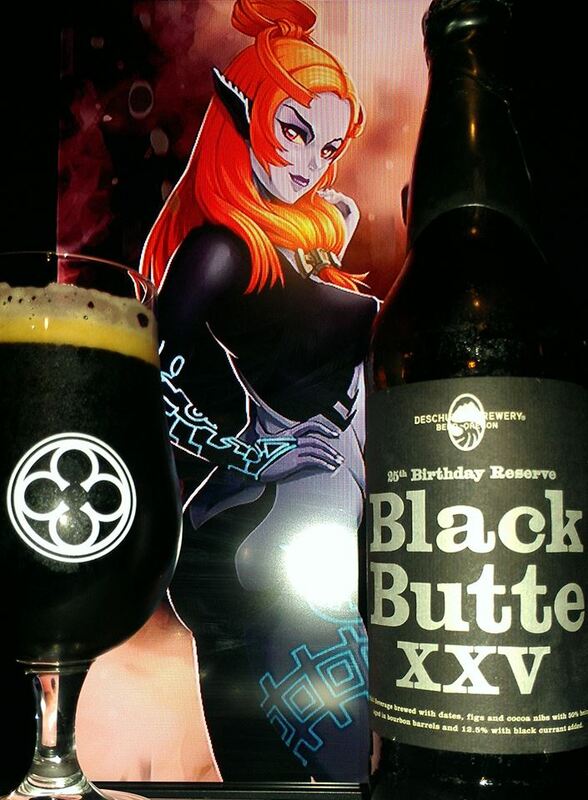 While it is a great and deliciously sweet, bitter and only tad funky, it will creep up fast and take over. You are dealing with sinister powers here. Their previous anniversary ales proved it. The conspiracy of the Trappist styles is hidden within the flavors of each sip. 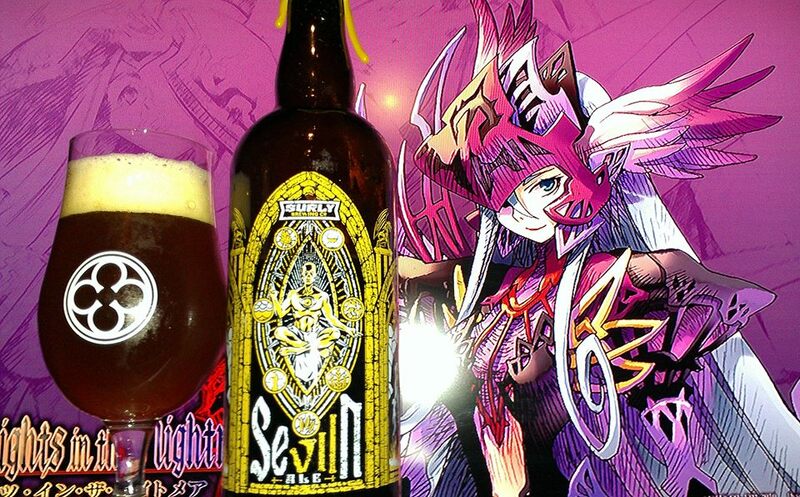 Is this an Evil beer? Well, you be the judge.